In our front garden, I use the word 'garden' loosely because it is mostly mint and weeds but anyway, the mint was very over grown so I went out and did a major trim. 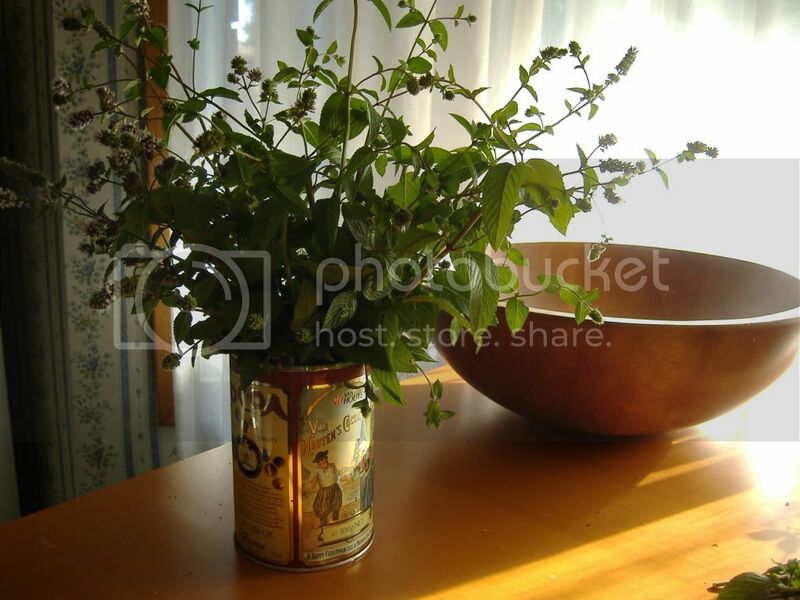 I gathered up some empty vintage jars from my collection and an old tin, and I put together some fresh, fragrant mint arrangements for around the house. I am in no way a flower arranger and am just winging it, so if you have any suggestions or comments please let me know so I can learn! 1. 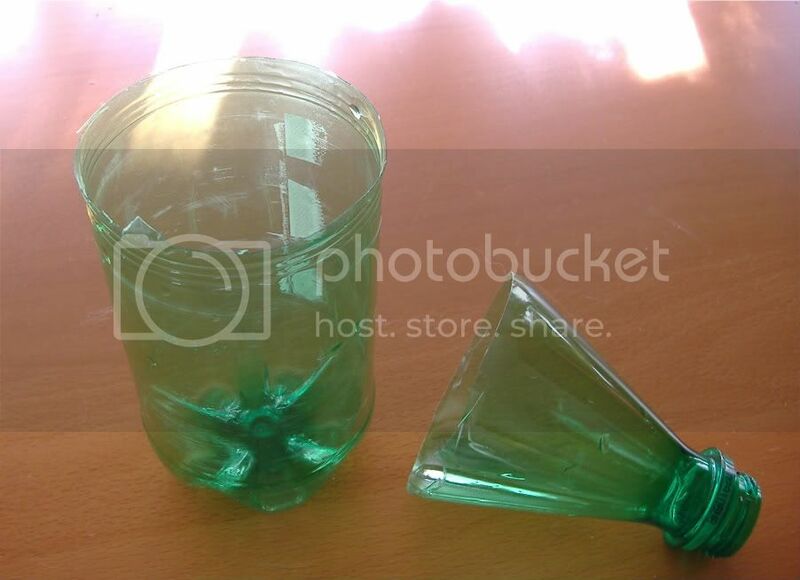 Cut the top of the plastic drinking bottle off, it will be used to hold the water and mint stalks to prevent any rust or leaking of the old tin. 2. Trim the mint stalks to the height you like and take off a few inches of the lower leaves so they won't sit in the water. 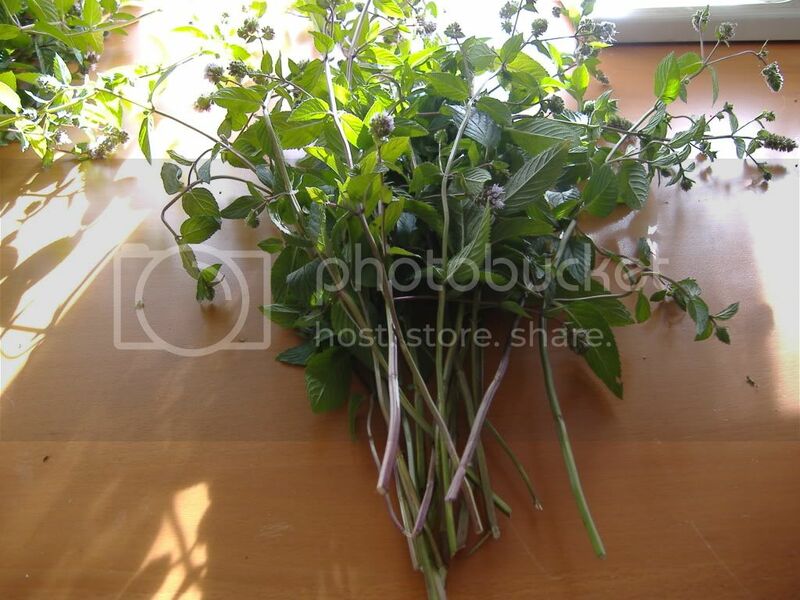 I'm collecting all the extra leaves for a mint lemonade recipe, but you could also use them in cooking or for making tea or dry them for later. 3. 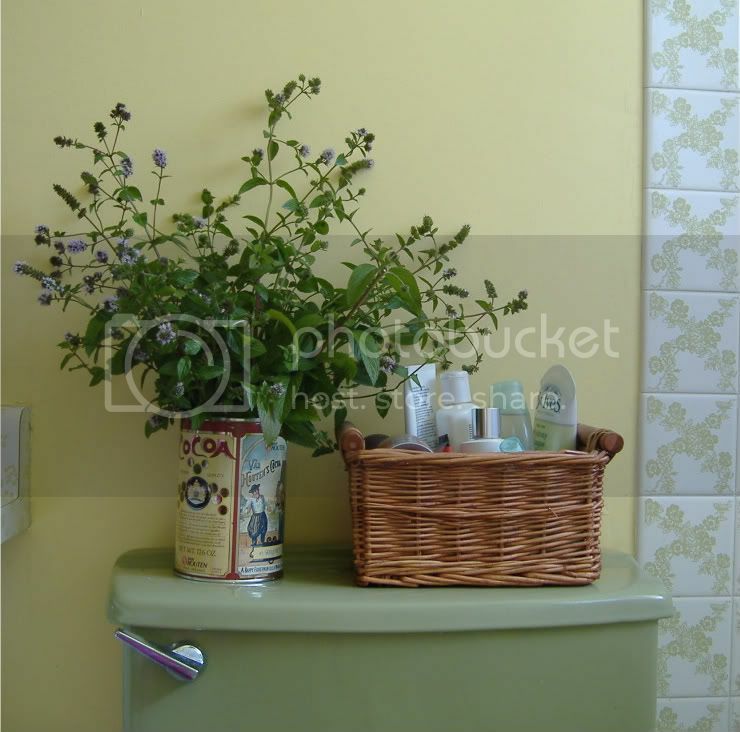 Fill the plastic bottle with water, put the bottle in the tin and start arranging, real simple but looks and smells great!! 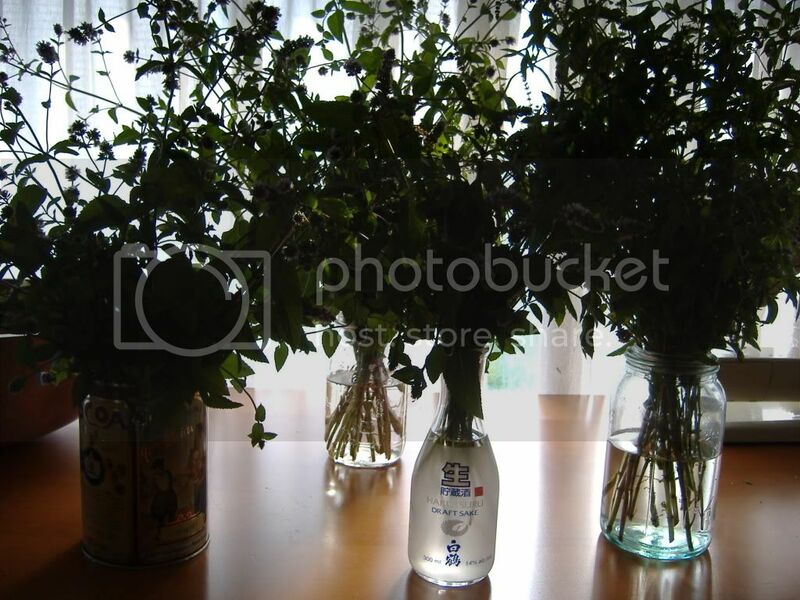 I made a few arrangement with the jars and a sake bottle for a mini arrangement for my beside table. The tin arrangement is in the bathroom, its minty fresh in there after a shower, but I'm not sure where the others will go yet. Yes my toilet is greeeeen, so is the tub and I kind of like it! Wow what a great idea, i have mint and never thought of that!! Well now i can try it. it looks lovely....and the one in the bath, i really like.